Having finished his advanced diploma in computer studies, Barry returned to his home town to find a distinct lack of basic computer skills among his neighbours. Despite having no capital and beset by a lack of confidence around him, Barry was determined to help others learn basic computer literacy to better improve their own careers. With only the support from his uncle and his own faith, Barry grew Sata Technology from one computer, one table and four chairs, crammed into a small garage. Over three years, his business has expanded to include seven computers, three employees, investors, and much larger visions for the future. 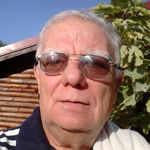 Ljubomir is a Management Consultant based in Macedonia with over 40 years experience working in business and consulting. Among his numerous qualifications (MSc, ICMCI, CMC, ISACA, CGEIT, CRISC), Ljubomir is a National Expert for supporting Entrepreneurs. Ljubomir joined Grow to provide support for new entrepreneurs in the fast moving IT sector, offering ‘out-of-the-box’ methodologies to help cross the cultural divide and develop Sata Technology. Barry’s major challenges centred around the difficulty of growing a large business from a small one. With the help of Ljubomir, he quickly learned the essentials in small business management – handling accounts, business plans, and drawing up proposals. 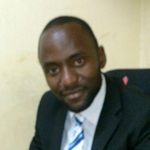 From minimal resources and no capital, Sata Technology needed to grow – ‘from nothing to something.’ Despite not having money for phones, resources, or an internet connection when he started working with Grow, Barry faced his challenges head on, and aimed towards increasing his employee capacity, improving his management practices, and developing new business ideas. Working with Ljubomir and with Grow Movement, Barry had access to the knowledge and resources he needed to move forward. People soon took note, and the popularity of his classes propelled the business onwards. Within just a couple of years, Sata Technology was legally registered, and Barry is now looking to expand even further, hoping to open three new branches in neighbouring regions. Ljubomir and Barry still keep in touch to check on the progress of the business and the implementation of the lessons learned.